Bruce S. Allardice and Lawrence Lee Hewitt (Editors). Kentuckians in Gray: Confederate Generals and Field Officers in the Bluegrass State. Lexington, KY: The University Press of Kentucky (November 14, 2008). 344 pages, illustrations, bibliography, index. ISBN: 978-0813124759 $40.00 (Hardcover w/DJ). Bruce S. Allardice. Confederate Colonels: A Biographical Register. Columbia, MO: The University of Missouri Press (October 1, 2008). 464 pages, illustrations. ISBN: 978-0826218094 $44.95 (Hardcover w/DJ). Bruce Allardice seems to have a monopoly on recent Confederate reference works, with an assist from Lawrence Lee Hewitt. Kentuckians in Gray: Confederate Generals and Field Officers in the Bluegrass State and Confederate Colonels: A Biographical Register were both projects released in late 2008 by that author. 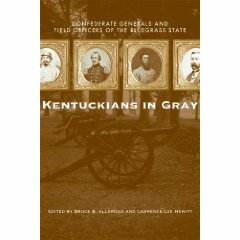 Kentuckians in Gray features biographies of thirty-nine Confederate generals either born in or associated with Kentucky along with a biographical register of Kentucky’s field officers (majors, lt. colonels, and colonels). Confederate Colonels, naturally enough, takes a look at all Confederate colonels who were not promoted to a higher rank, also in the biographical register format. Some readers may have already noted that some men, Kentucky colonels who never achieved a higher rank, appear in both books. Additionally, frequent readers of TOCWOC – A Civil War Blog know that I like to mix things up with reviews now and again. That said, this particular blog entry is going to take a closer look at the two books and compare the entries of a single Confederate colonel, Robert Jefferson Breckinridge, Jr., to see how similar the information in each book is. Naturally, one would assume the entries would be nearly identical since Bruce Allardice was involved in both works. As mentioned in the introduction, Kentuckians in Gray is a book consisting of two very different sections. The first contains thirty-nine short five or so page biographies of every Confederate general either born in Kentucky or who became prominent there. Stories of the famous (John Bell Hood, Albert Sidney Johnston, Jon C. Breckinridge) are mixed with the more obscure (Adam Rankin Johnson, Samuel Bell Maxey, Basil W. Duke). The biographies, written by a large number of contributors, were arranged in alphabetical order by last name. Each entry contains some sort of illustration, whether a photo, portrait, bust, etc. The life of each general is covered, including activities prior to and after the war. For some of these men, their pre- and post-war lives were as exciting as the war itself! A small biography at the end of each entry provided this reviewer with some interesting new avenues of study. I think I noted a least twenty books I am now interested in buying as a result. Though the overall results were decidedly positive, I did have a few minor quibbles. First, I found it a bit odd that men who were not actually born in Kentucky were included. Second, although the individual entries typically read very similarly thanks to the work of Cheryl Hofman of Hoffman-Paulson Associates, one entry written by a decidedly sesquipedalian* author using $10 words like they were a dime a dozen stuck out like a sore thumb. Lastly, I would have liked to have seen endnotes and a more comprehensive bibliography at the end of the book covering major sources of information. Although it is not specifically stated in the book, from reading Allardice’s other book Confederate Colonels I have to assume the majority of information on the field officers came from the CSRs (compiled service records) of each man found in the National Archives. The second portion of Kentuckians in Gray is made up of short biographical entries on all Kentucky Confederate field officers (majors, lt. colonels, and colonels). Each entry typically contains the individual’s birth date and place, marriages, pre-war occupations and/or military experience, major events during the Civil War, post-war occupations, and date and place of death. The entries, as in the first section of the book, are listed in alphabetical order by last name. Kentuckians in Gray is not simply a reference work. The mini-biographies of Kentucky generals make it an interesting and informative read at the same time. There are many recognizable names in the list of contributors, including Brian McKnight, Jack Davis, Terrence Winschel, and Art Bergeron, not to mention the editors. This complete list of Kentucky Confederate generals and field officers make the book worthwhile and useful reference work for those studying the men and events from that state. Confederate Colonels is a reference work through and through. Aside from some interesting material at the beginning of the book covering what exactly is meant by the term “Confederate Colonel”**, information on the trouble of proving rank, and some revealing statistics on these men, the book consists entirely of biographical entries similar to but containing slightly more information than those found in the latter half of Kentuckians in Gray. According to author Bruce Allardice, these entries were compiled mainly from the CSRs (compiled service records) of the Confederate colonels which were found in the National Archives. A few pictures of Confederate colonels were added at the beginning of the book, although by no means is this any kind of large number. At a time when publishers seem to be tightening their belts, I found the addition of these likenesses refreshing. Unbelievably, this was the first ever attempt to collect information on every Confederate colonel. This is yet another example of why there is still much to be written about the Civil War. Confederate Colonels is destined to become an indispensable reference work in the same vein as Bob Krick’s well-known Lee’s Colonels, now in its fifth edition, which covers the colonels of the Army of Northern Virginia. Now that I’ve covered both books in a more or less straightforward review, I would like to take a closer look at what information is specifically listed in Confederate Colonels. Following this I will show readers the excerpted entries of Kentucky Colonel Robert Jefferson Breckinridge, Jr. (used with permission of The University Press of Kentucky and The University of Missouri Press) to see how they compare. I suspected the entries would be identical since they both came from the research of Bruce Allardice, but I was mildly surprised when they did not exactly match up. Please note that not every entry contains ALL of this information. It is just the maximum amount of information for each officer if said information is available. To round out the coverage of these two fine reference works, let’s take a look at the biographical entries for Kentucky Colonel Robert Jefferson Breckinridge, Jr.
As you can see both entries are very similar. The biggest difference is one of abbreviation and space. Allardice had to fit over 1500 men into Confederate Colonels, whereas far fewer men are listed in Kentuckians in Gray. 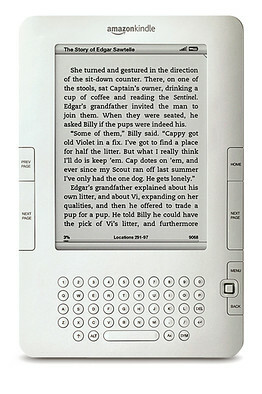 As a result readers will see many more words abbreviated in the former book. Fear not, though, as the abbreviations are fully covered just prior to the actual listings. I was surprised that these entries were not 100% identical, to be honest. Confederate Colonels and Kentuckians in Gray are both fine reference works. Bruce Allardice and Lawrence Lee Hewitt did a fine job compiling all of the information necessary to produce such first rate collections. The first book is notable for having been the first attempt to catalog the Confederate colonels in one place, similar to earlier attempts to do the same for Union and Confederate generals. It compares very favorably to similar books such as Robert Krick’s book Lee’s Colonels and Roger D. Hunt’s Colonels in Blue series, now at three volumes. Kentuckians in Gray will appeal to a wider audience including general readers with its nuanced look at Confederate generals associated with Kentucky. Both books are reasonably priced and are highly recommended. 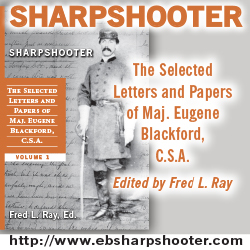 Note: Drew Wagenhoffer at Civil War Books and Authors has a review of Confederate Colonels up as well as an interview with author Bruce Allardice. Go check it out and look for his review of Kentuckians in Gray soon! * If you don’t understand this word look it up, I used it to make a point. I would like to thank Mack McCormick at The University Press of Kentucky. I would like to thank Beth Chandler at The University of Missouri Press.